Billie Holiday (April 7, 1915 – July 17, 1959) was an American jazz singer and songwriter. Nicknamed Lady Day by her loyal friend and musical partner, Lester Young, Holiday was a seminal influence on jazz and pop singing. 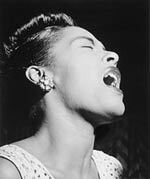 Her vocal style, strongly inspired by jazz instrumentalists, pioneered a new way of manipulating phrasing and tempo. Above all, she was admired for her deeply personal and intimate approach to singing. Her early career is hard to track down with accuracy. But, evidence suggests, that from an early age she worked as a prostitute for a Harlem brothel and was imprisoned for a short period for soliciting. She later gained work singing in local jazz clubs before being spotted by a talent scout, John Hammond, in 1933, aged 18. Her voice and recordings are loved for the depth of emotion and intensity she could bring to classic standards. Her range of voice was not the greatest, but her distinctive gravelly voice soon became very famous and influential. She was a famous icon of the jazz era and influential in the development of jazz singing. In the late 1930s, she began singing a civil rights song called “Strange Fruit” – a song which told the tale of a lynching of a black man in the deep south. It was very controversial for that period, and it was not played on radios. It was recorded for Commodore Records, and she performed it many times over the next 20 years. Billie Holiday had a difficult upbringing which influenced her perspective on life. She was drawn to abusive men, and she experienced many tempestuous relationships. She also became increasingly dependent on various narcotics which contributed to her premature death in 1959, aged just 44. Citation: Pettinger, Tejvan. 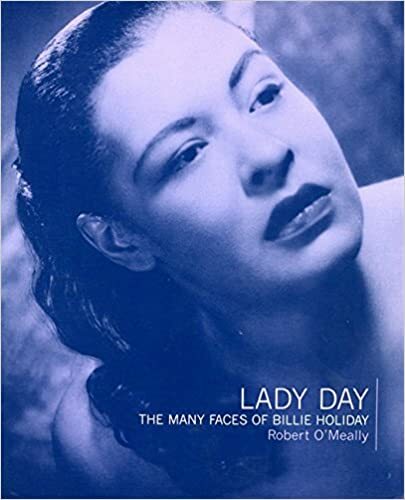 “Biography of Billie Holiday”, Oxford, UK. www.biographyonline.net, 28th May 2010. Women who changed the world – Famous women who changed the world. Features female Prime Ministers, scientists, cultural figures, authors and royalty. Includes; Princess Diana, Marie Curie, Queen Victoria, and Catherine the Great.